NOTE: This is for one egg and for one color of crystals. Duplicate it if you want to have other colors. 1. Grab an egg. All the yolk and the egg white need to come out of it first. 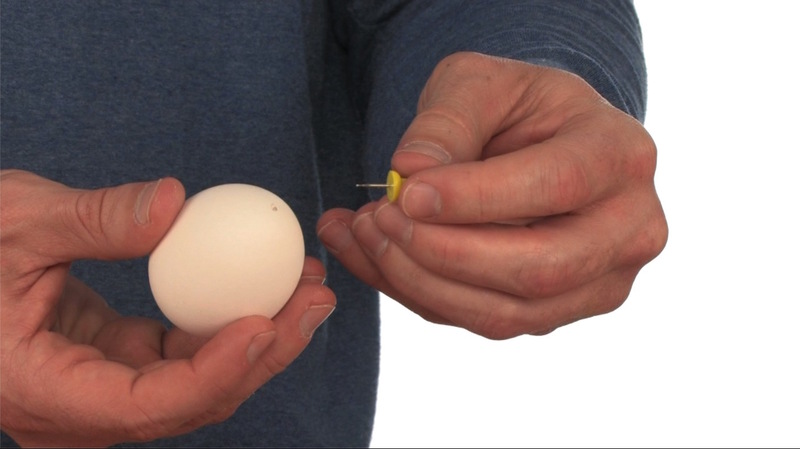 Use a pushpin to carefully poke a hole in each end of the egg. 2. 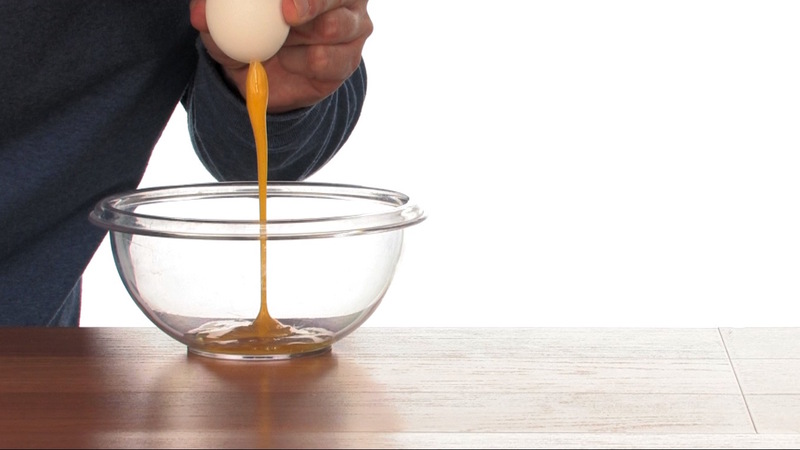 Put your mouth on one end of the egg and blow the yolk and white out through the other hole. This may take a while and isn’t too easy so don’t rush. Blow the materials into a bowl or a garbage disposal, depending on whether you plan to cook scrambled eggs or not. 3. 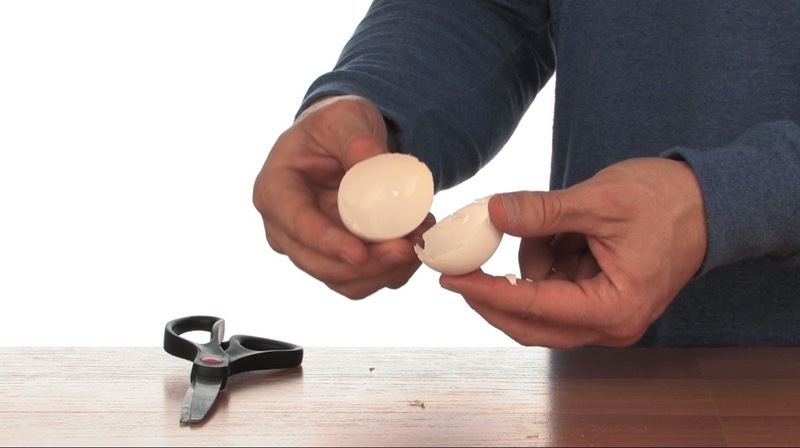 Carefully cut the shell in half around the egg’s length with the pair of scissors. Peel off and throw away small pieces of shell from the edge. 4. Carefully wash the inside of the shell halves with warm water and wipe them dry with a paper towel. Get the interior surface of the shells as clean and dry as possible without cracking them too much. 5. Drip some glue into the shells and use the paintbrush to spread it around inside. Cover the entire interior surface with glue all the way up to the edges. Use more glue if needed. Generously sprinkle alum powder on the wet glue and let it dry overnight. 6. 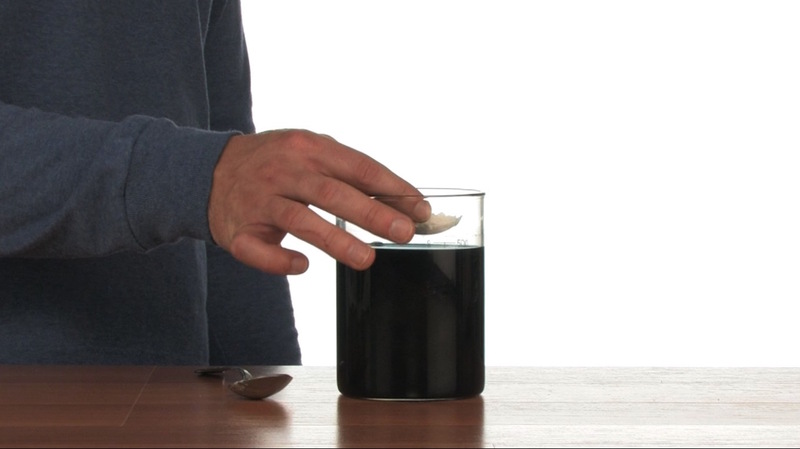 The next day, bring two cups of water (473 mL) almost to a boil and pour it into the bowl. 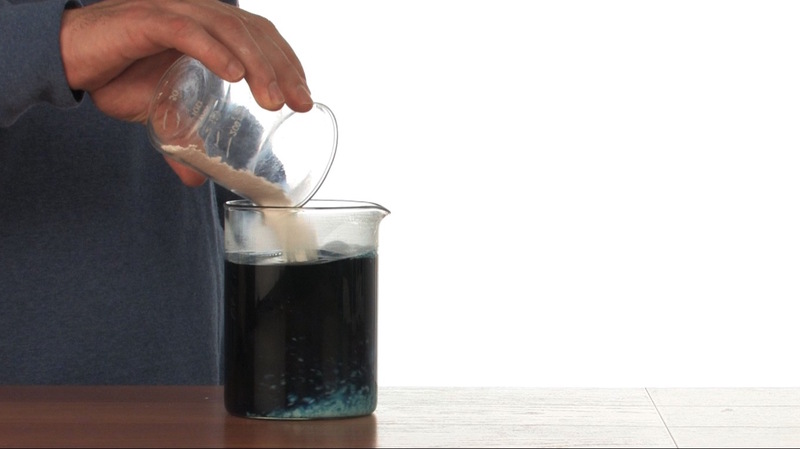 Dissolve 30-40 drops of food coloring and 3/4-cup alum powder into the water. Let the solution cool for thirty minutes. 7. When it’s cool, place the shells into the solution alum-side up. Push the shells to the bottom of the solution with the spoon and allow them to sit there for 12-15 hours. 8. After 12-15 hours, crystals have grown! Carefully remove the shells and place them on a paper towel to finish the geode-creation process. Perhaps you can leave there longer and see if they grow bigger. Your egg geode is formed through a process called sedimentation. 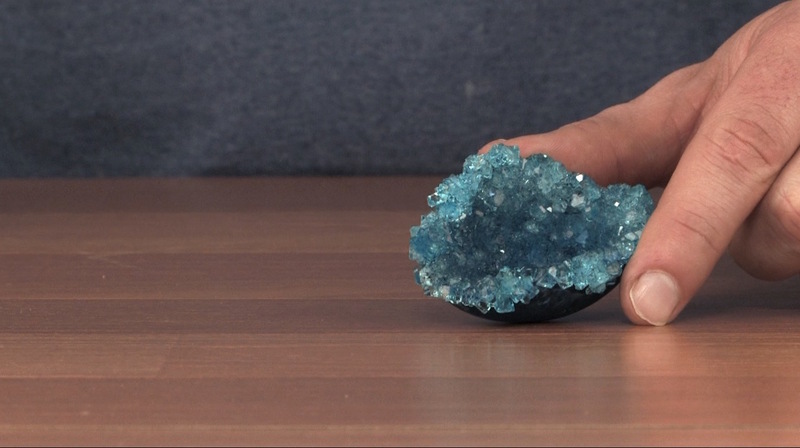 While a geological geode is a mass of minerals within a rock that can take thousands, even millions, of years to form, your Incredible Egg Geode only takes a couple of days. The heated alum solution contains suspended particles of alum powder in it and as the solution cools, these particles of alum begin falling to the bottom. When the alum particles settle on the bottom, they begin crystallizing. Covering your shell in alum powder beforehand gives the suspended alum particles a surface to which they can more readily attach themselves. The particles that settle onto the surface of the shell crystallize quickly but you will also see evidence of crystallization on the bottom and sides of the bowl.